Is the National Mall “complete,” as Congress declared in 2003? Can it ever be complete? Can we “rethink” the Mall of the future? On Monday, December 1, 6:30-8:00 p.m., the National Building Museum will host a panel discussion, moderated by Washington Post columnist Roger Lewis, with contributors to the new book, The National Mall: Rethinking Washington’s Monumental Core. 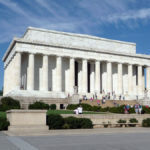 With the recent opening of the Capitol Visitor Center, reopening of the Smithsonian’s National Museum of American History, and what is sure to be a once-in-a-lifetime gathering on the Mall on January 20th, the National Mall is in the limelight. What does the future hold? 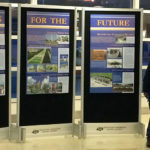 Increased demand for additional buildings and usage has sparked debates over the future of Washington, D.C.’s National Mall. 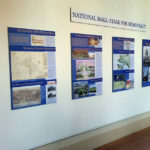 Hear a panel of experts discuss the complicated task of preserving the legacy of the National Mall, while addressing the needs of disparate interest groups and the broader, bigger needs of the nation. The exhibition Washington: Symbol and City will be open for viewing prior to the lecture. Following the lecture, panelists will sign copies of The National Mall: Rethinking Washington’s Monumental Core. Preservation, and Columnist, The Washington Post, will moderate the program. $12 Members; $12 Students; $20 Non-members. Prepaid registration required. Walk in registration based on availability.